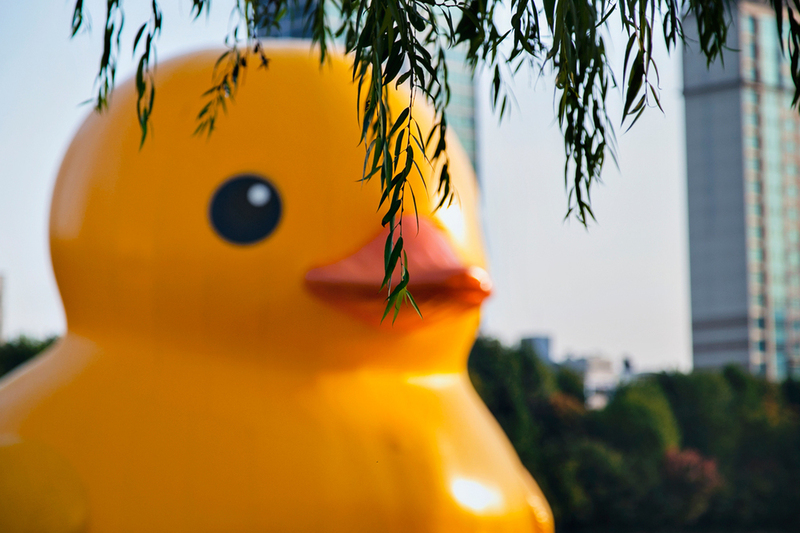 A little about the project, the 300 kilogram, 54-foot tall duck designed by Dutch artist Florentijn Hofman and has travelled many countries since 2007 in a bid to "heal wounds" and "relieve tension" wherever it goes. 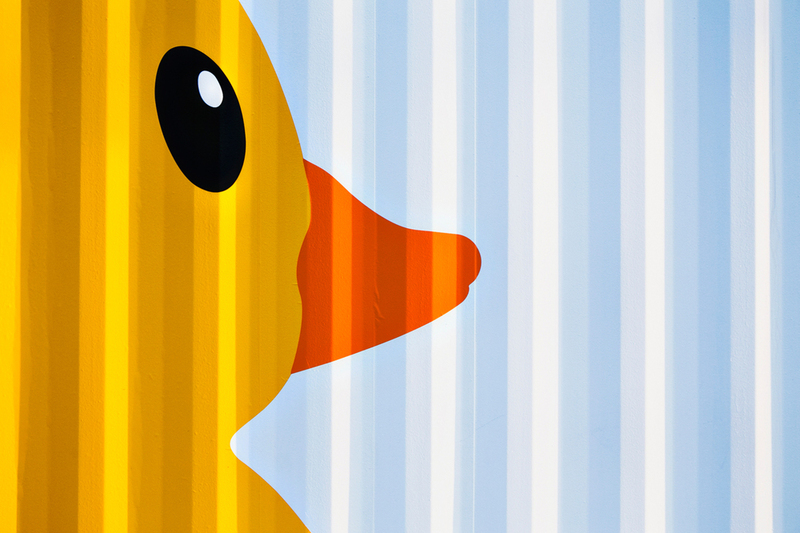 "The Rubber Duck knows no frontiers, it doesn't discriminate people and doesn't have a political connotation." —Hofmann. For you who is interested to see the duck, it'll be on Seokchon Lake 'til next week I believe.